Order within the next... 4 hours, 12 minutes, 41 seconds ...for dispatch today! 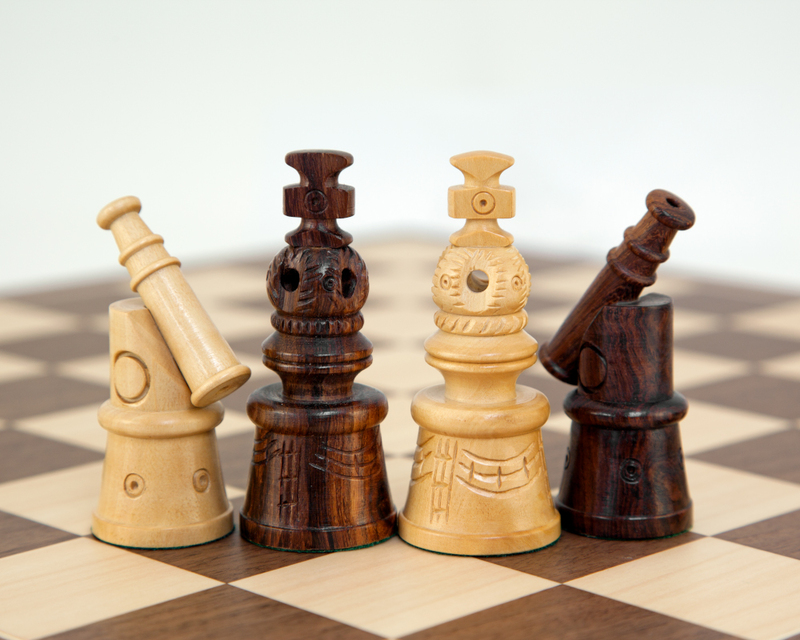 Hand carved cannon series chess pieces crafted from sheesham and boxwood exotics. The detailing is sublime with particular detail expressed in the construction of the rooks as cannon guns. 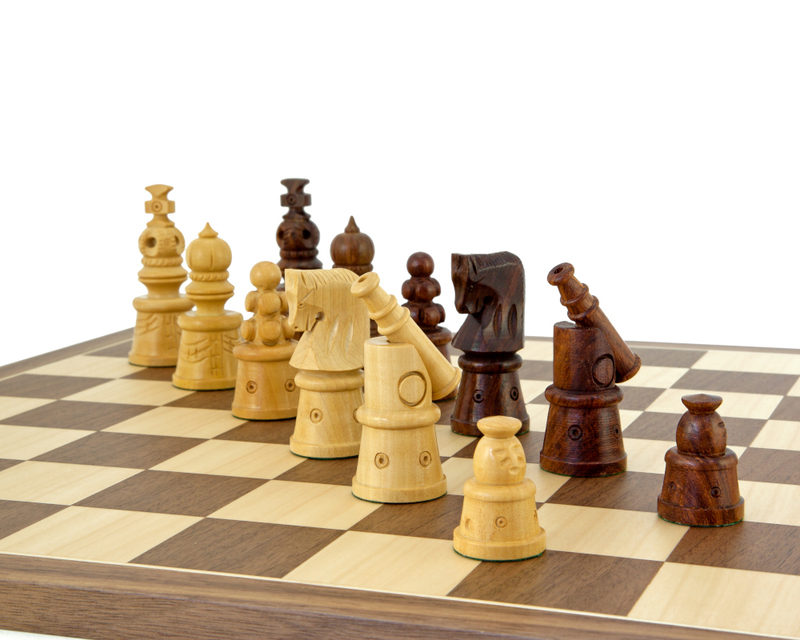 Unique and distinctive alternative to Staunton, these chess pieces will find pride of place in any chess player's household. 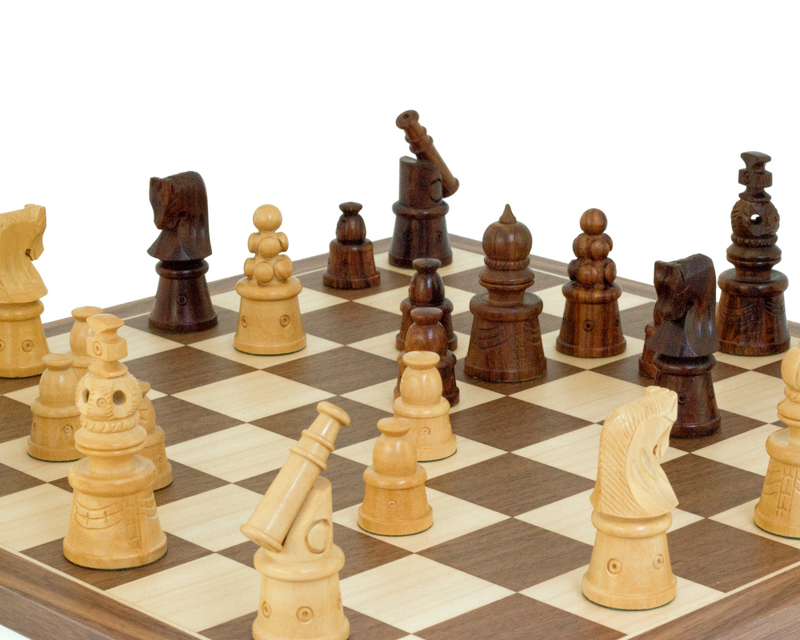 The chess board in this set is Spanish, constructed from Walnut and Maple veneers which compliments the colouring of the chess pieces with suitable accuracy. 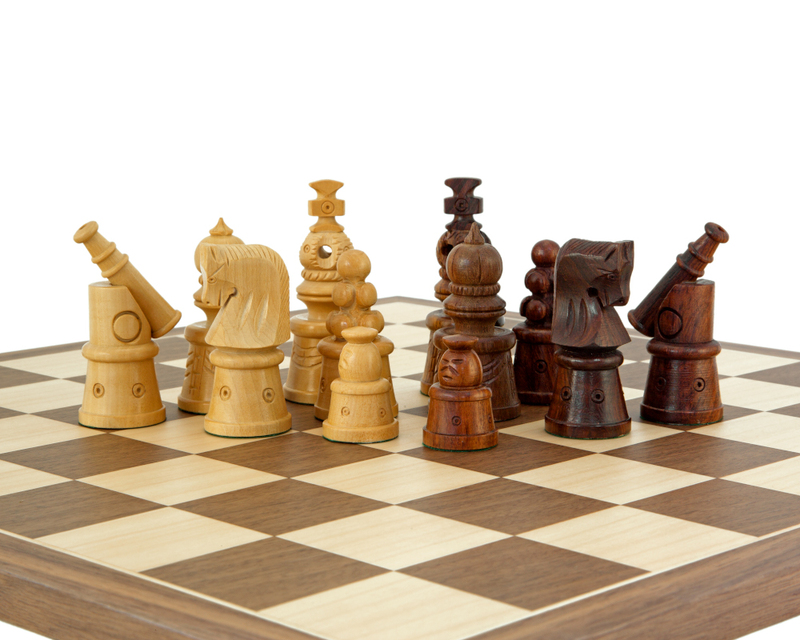 A very beautiful chess set combination that also represents very good value. "I ordered this set online, confirmation email was prompt and accurate. The delivery time was within the time promised, it was very well packaged with bubble wrap and substantial cardboard box. 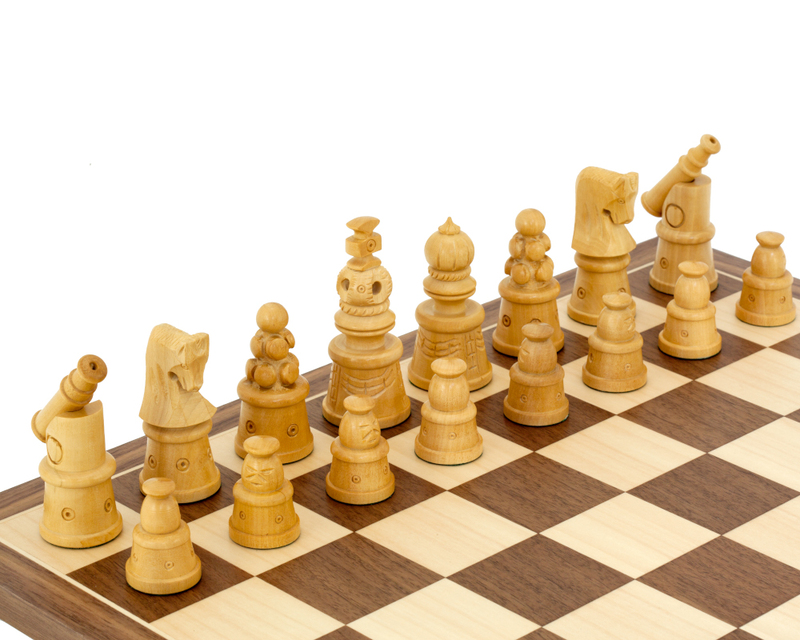 The chess set and board were both of excellent quality and I am very satisfied. Thank you Regency." "The set is so beautiful, much more intricate and detailed than the photos reveal. 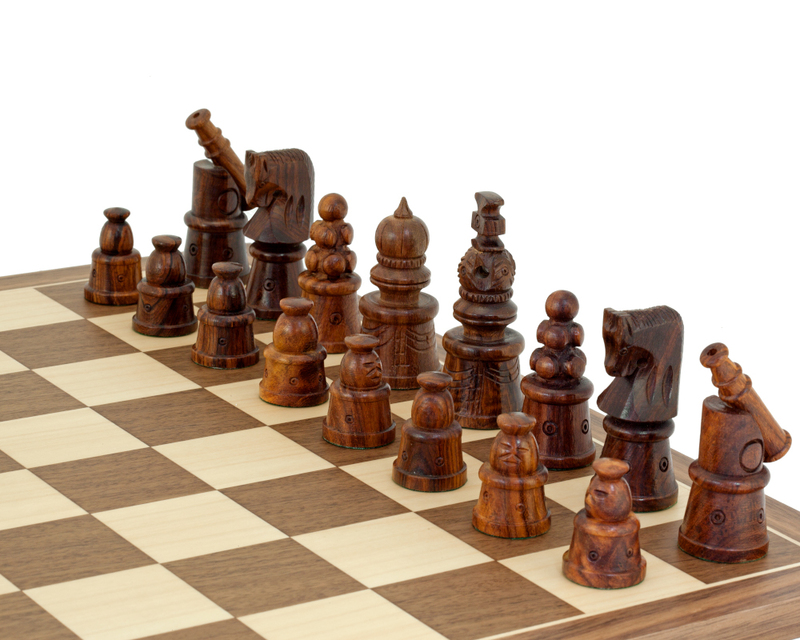 The chess pieces are so tactile and unusual. 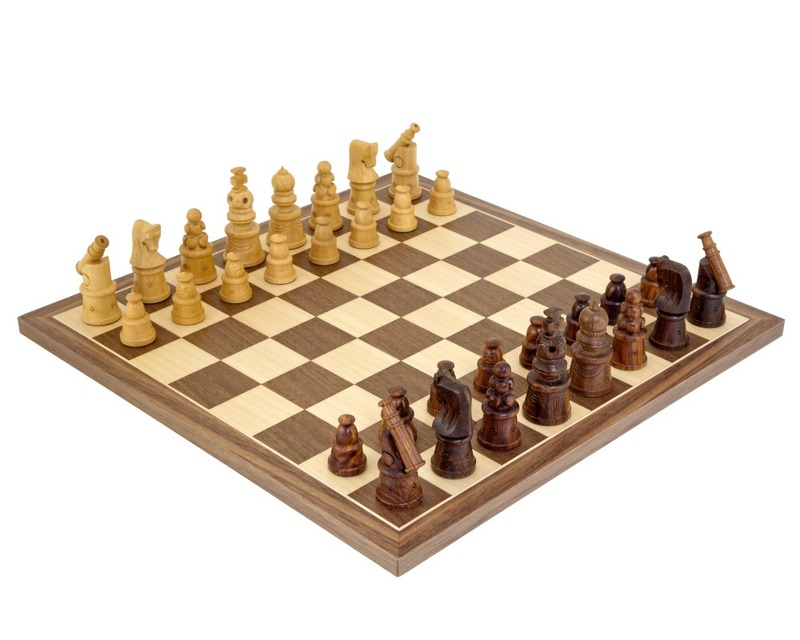 Bought this as a Christmas present for someone who has wanted an ornate, carved wooden set for a while and I am certain it will not disappoint!"